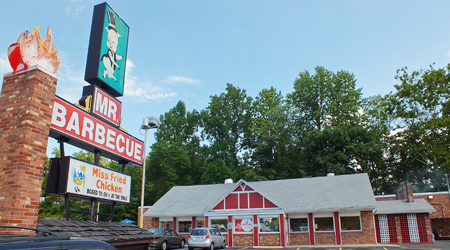 Since 1962, Mr. Barbecue has been serving GREAT barbecue to Winston-Salem, NC and the surrounding areas! In addition to our wonderful family restaurant, we offer take-out and catering services. "The Best Barbecue in Winston-Salem!" 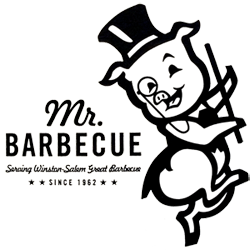 Here at Mr. Barbecue, we offer you our very best in service and value! We use only the finest Hickory in our barbecue pits along with our special secret recipe developed over 50 years ago to create barbecue that you'll never forget! To us, it's not about the money, it's about making every single customer leave with a smile! We want you to say, "Now THAT was some good food!" We are proud of the hard work we put into making our great food from scratch and we know you'll be able to taste the difference! Come by and visit us today and we know you'll be back for more!